A clean sweep for Korea? The methodology is based around major competitions, world ranking, and past results heavily weighted toward previous Olympic success, which seems reasonable – for most sports. Unfortunately, our thing is reliant on peak performance and subject to considerable variance. It should be remembered that Infostrada are a commercial outfit who rely on headlines and just a little controversy to sell their products – and they’ve been wrong before. I suspect the actual archery medal table will look a little different. Rick Van Der Ven’s nod seems to be based on his world ranking and Copenhagen performance. He’s a great champion and a great performer, but I’m not sure I’d pick him for an Olympic medal this year – although I’d be incredibly happy to see him prove me wrong. The team picks ignore clear and present dangers from China on both sides, Chinese Taipei on the men’s and Japan on the women’s side – and perhaps half a dozen other squads who could very easily produce a last four run. The individual titles have seen many extraordinary peak performances and unexpected victories over the years. It seems entirely possible we’ll see something similar again. Finally: the great white sharks. 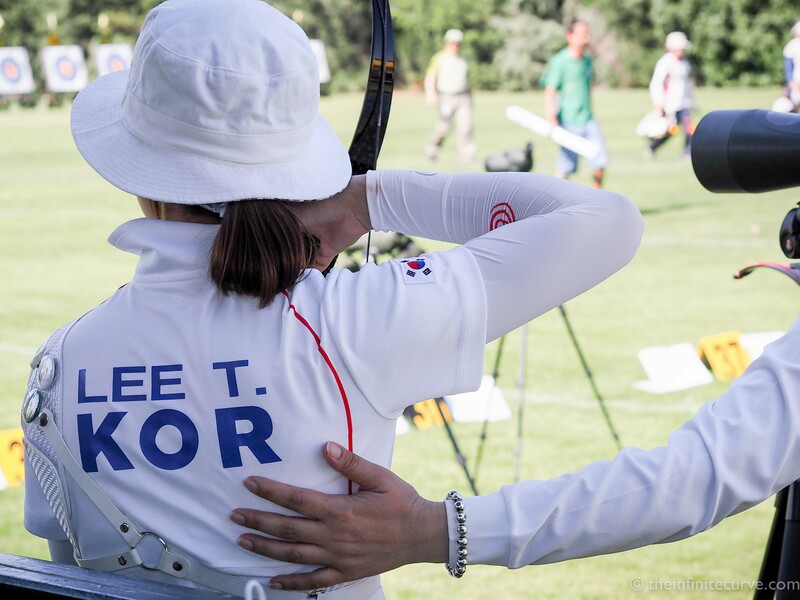 It seems very unlikely Korea won’t be taking home at least a clutch of medals, but none of the four named Koreans are guaranteed a place on the squad – they will all have to fight for a place at their internal selection tournament in April: by some distance, the toughest recurve tournament on the planet. Also, the national stakes ratchet ever higher. The enormous pressure to win appeared to get to the Korean men’s team at the Asian Games in 2014, and they only ended up with bronze. The conditions and humidity in Rio perhaps don’t really suit squads used to temperate climes – there were issues raised during the test tournament, and the whole lot of them are on extended acclimatisation training in Sao Paulo of this writing. Naturally, no expense or effort will be spared to try and bring the goods home back to Seoul, but could the pressure be too much? Stay tuned for a full Olympic picks piece later on this year. More on Infostrada and their medal predictions here. I believe the 2015 Pan Am Games Women’s Champion will do just fine in Rio! Go Team USA!